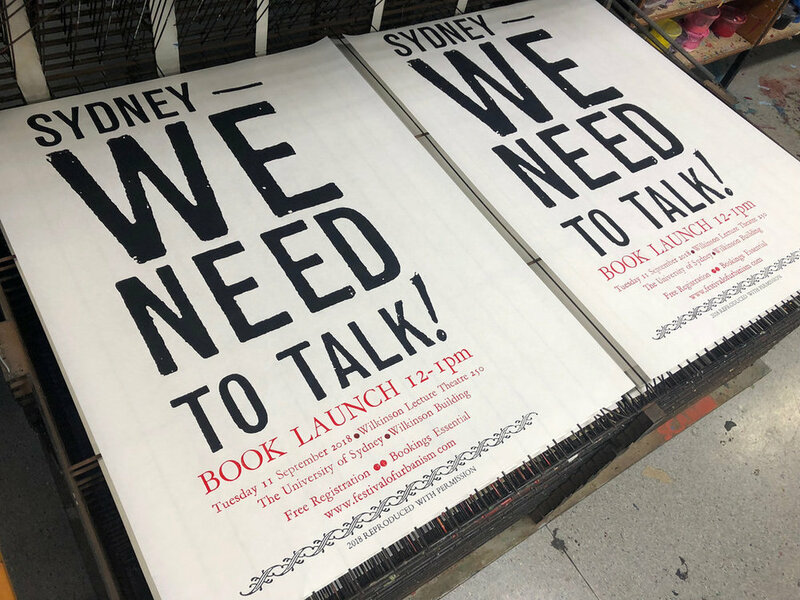 Making of the book — Sydney - We Need to Talk! Drawing for Degrees chapter in Sydney - We Need To Talk! The book contains 8 essays and an introduction. Wendy responded to each of the essays by drawing an image she felt expressed the ideas and emotions within the words. 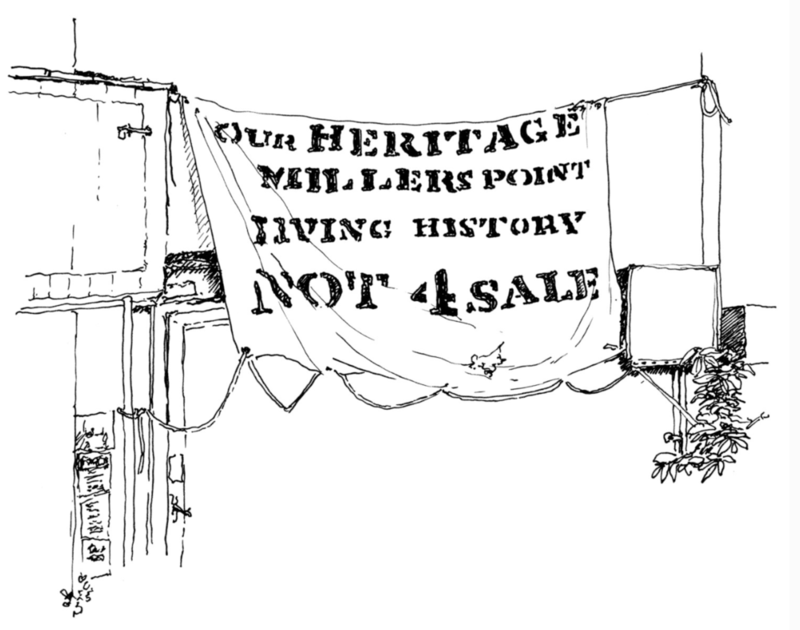 A range of posters and prints have also been printed to celebrate the launch of the book. (below) presenting the mock-up to the crew in the press studio.